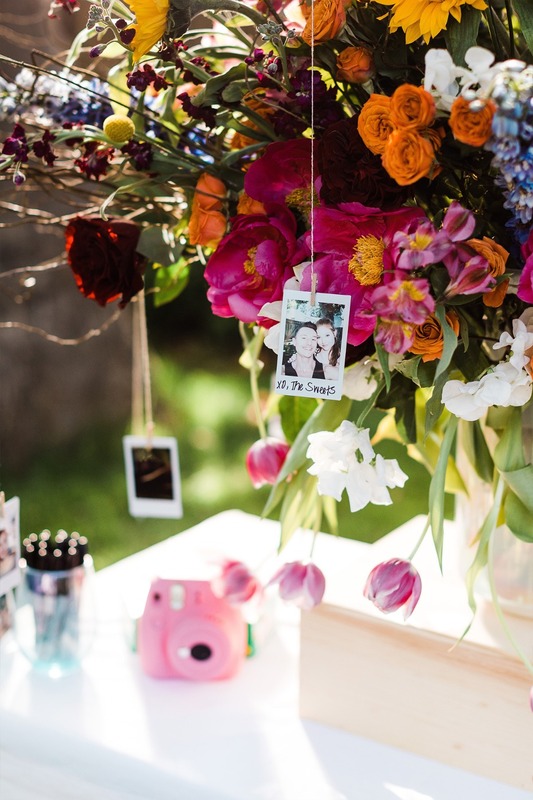 While you're wedding planning you're going to ask yourself ... "do I really need a guestbook?" 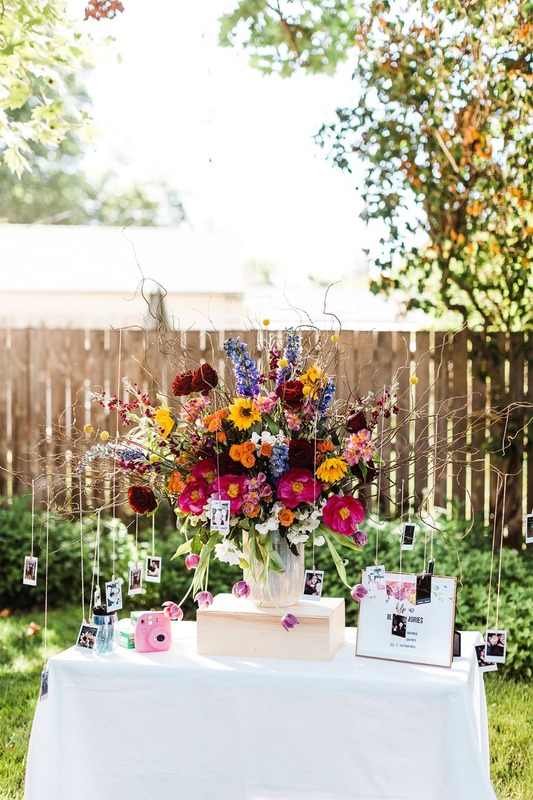 Well ... do you want to remember all the guests that came to your wedding? Of course, you do! 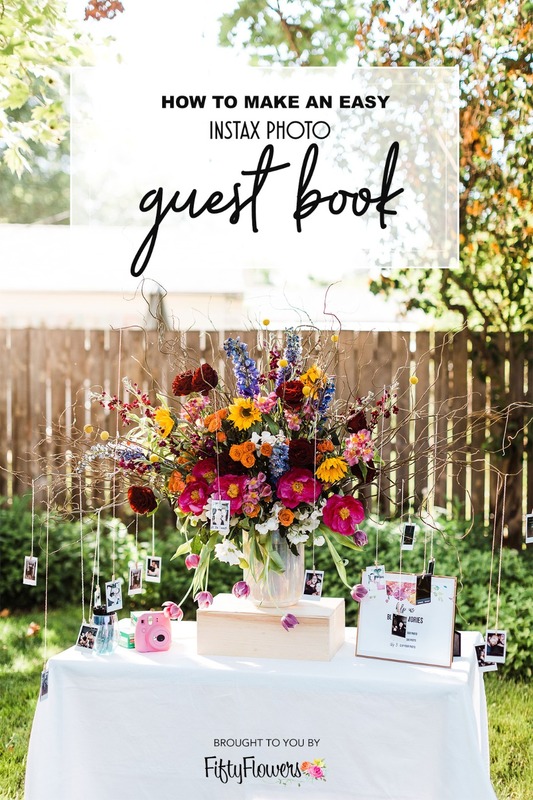 Then you need a guestbook. 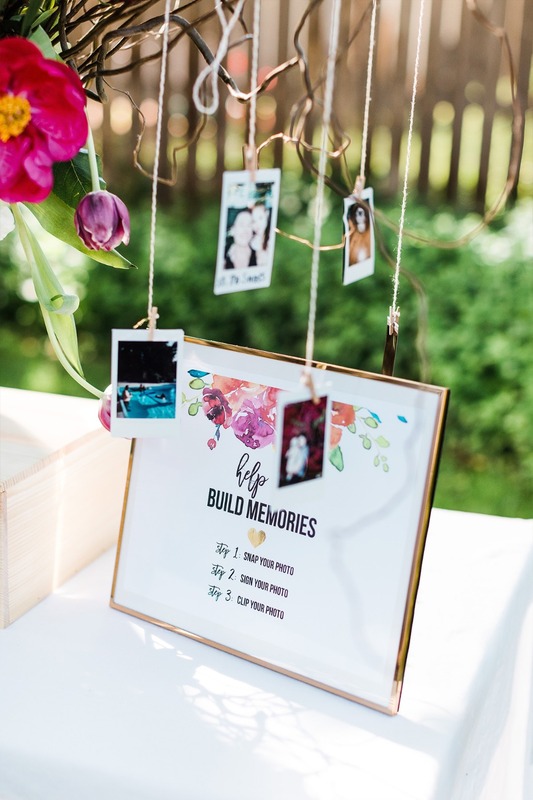 While a traditional wedding guestbook is perfectly acceptable, why not take it a step further and create an interactive station where guests can create memories for you? The best part is that it's incredibly easy to create. 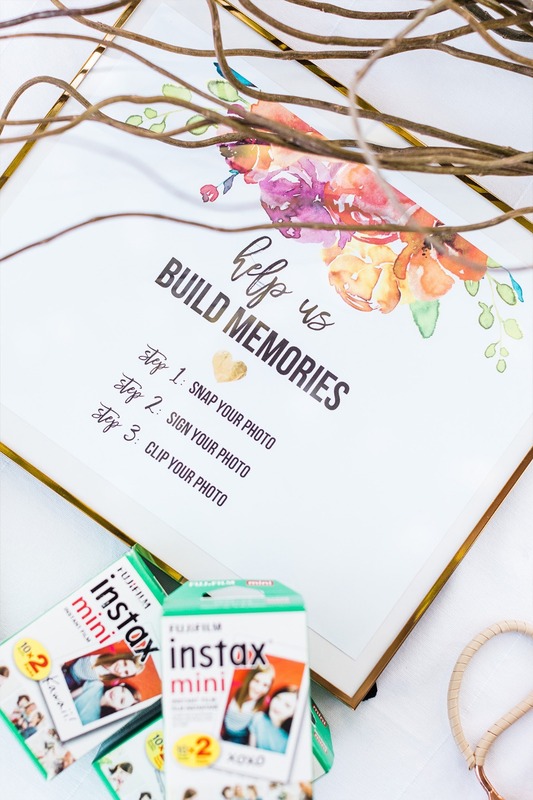 You'll only need a few supplies and a little help from your friends at FiftyFlowers.com and BAM you've got yourself an Instax photo guestbook table. Read on for instructions and don't worry were even providing a free printable to make everything as easy as possible. Before you read on, be sure to read all the way down to see how you can win $3,000. That money would come in handy on your honeymoon. 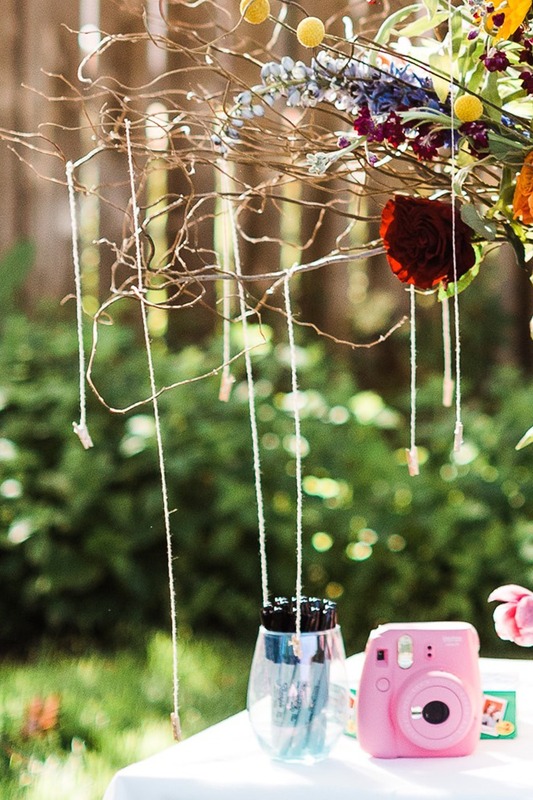 This clever DIY was sponsored by FiftyFlowers.com. 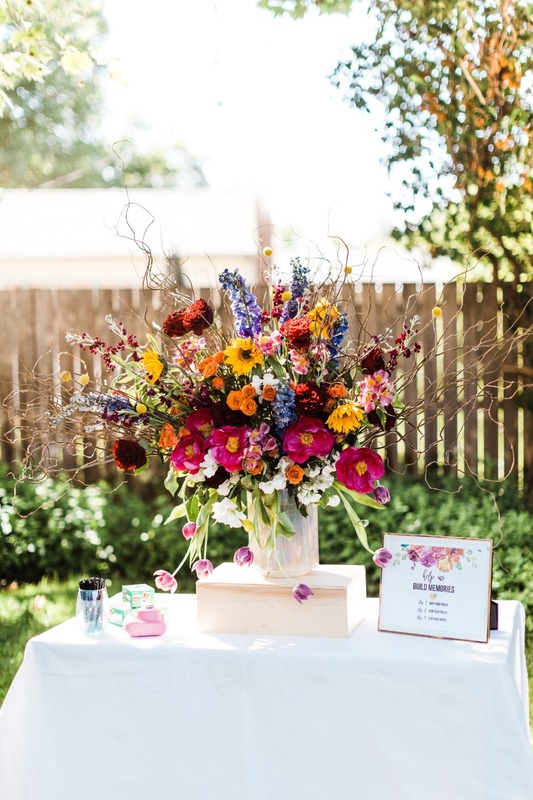 You'll want a table that can handle the flower arrangement and all your supplies. We used a desk from Ikea and a white tablecloth to keep costs down. Looks good... right? Set up all your supplies. 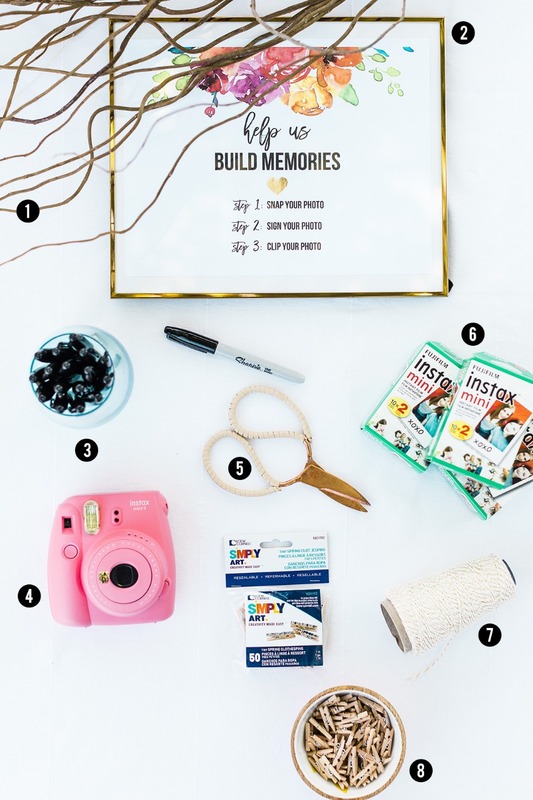 Including your framed directions, so guests know what to do once they come to the table. 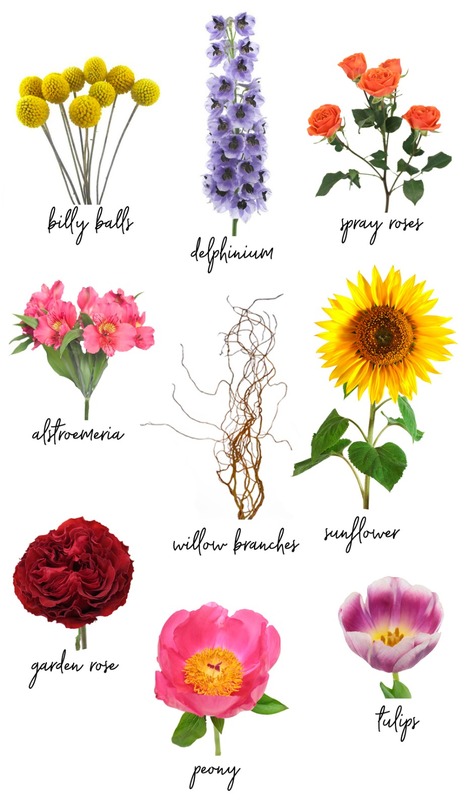 Here is the free printable we spoke about before. You can click here and download this 11 X 8.5 here and put it in a frame. We bought our gold frame at TJ Maxx. This is the most time-consuming part of the project. We'd suggest doing it the day before. 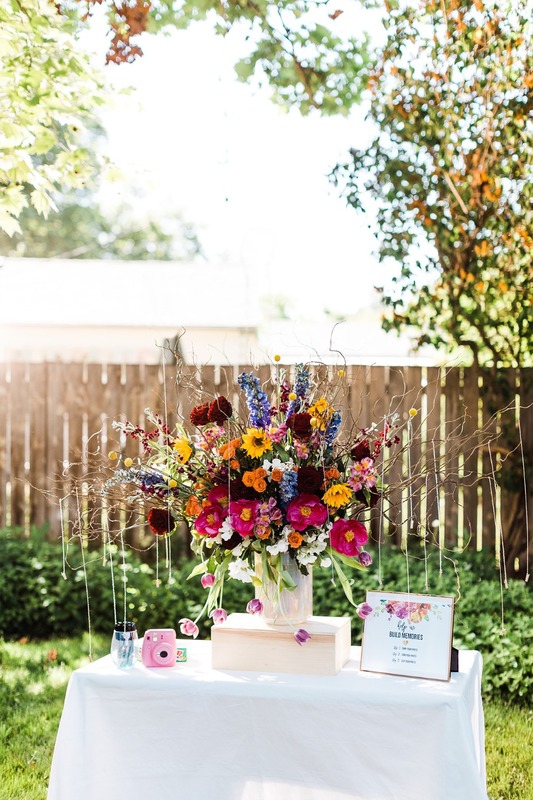 Now that you are fully educated on how to make a unique and interactive wedding guest book it's time to learn how to win $3,000 from FiftyFlowers.com. So how do you enter? Register here for the contest to save 5% on your order. 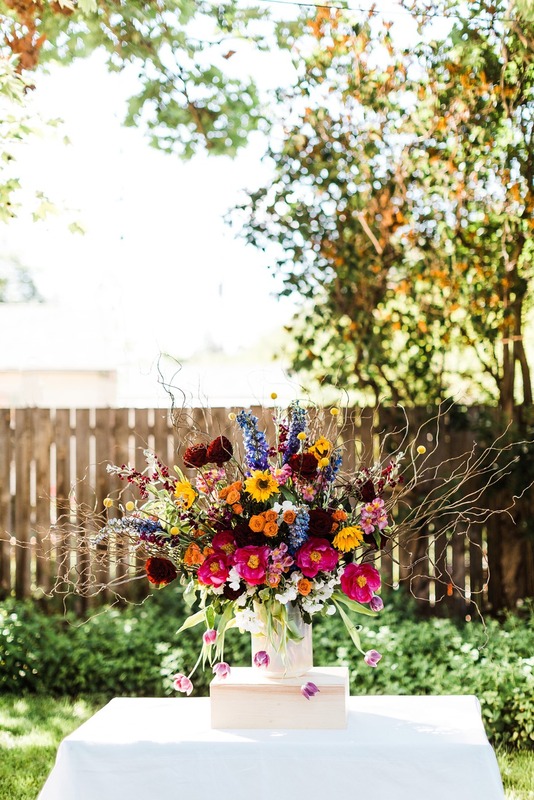 Then buy and DIY your flowers from FiftyFlowers.com and once your wedding is over, submit your own Flower Story for a chance to win $3,000! Read all the official rules here for more info.